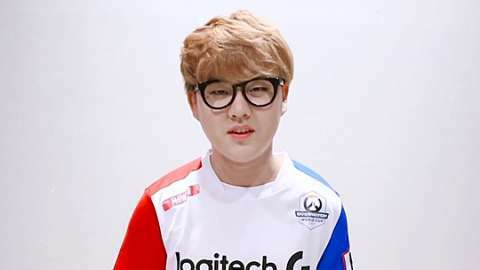 In the midst of the fervor mounting up for the Overwatch World Cup, Inven Global has prepared an event for Overwatch fans: an AMA with a top Overwatch pro gamer! 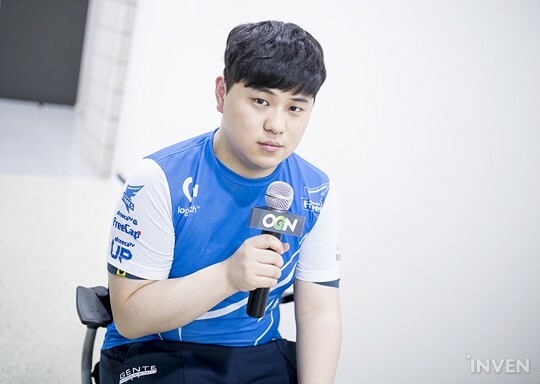 The pro gamer we invited for our first AMA is… drumrolls, please… ArHaN from Afreeca Freecs! 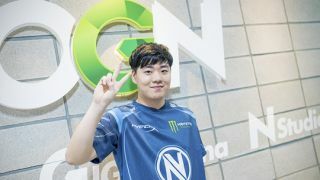 ArHaN is one of the top DPS who has displayed outstanding performance in the Overwatch APX, and he lead his team to perfect victories in the 2016 Overwatch World Cup. We will be holding a live AMA for 3 hours via our comment section at the bottom of this article, starting from August 7th, 18:00 PDT (August 8th, 10:00 KST). Of course, ArHaN will be answering your questions not only during the live AMA time, but starting from now on, so feel free to leave questions in the comments below. 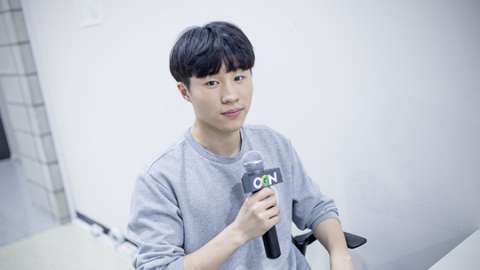 The AMA with ArHaN will be set up so that all Overwatch fans from all over the world can communicate with each other; it will also be held in English so that more fans can communicate. We hope that active discussion will be held between Overwatch fans, since you will be able to use our translation feature in the comment section. However, you will need to sign up for an account at Inven Global in order to participate in the AMA. You can sign up with your Reddit account or any other social media like Twitter, Facebook, and Google+. Also, we will be giving a 20$ Blizzard Balance gift card to 10 randomly selected people who participate in the AMA event. Not only that, we will also select 3 additional participants during the live AMA and give them a 50$ Blizzard Balance gift card. We will be holding the AMA with a translator from Inven Global. So… We look forward to your participation! Thank you! - This event is for everyone who participates in the AMA with ArHaN via the comment section of this article. - 50$ Blizzard Balance gift cards will be given to 3 randomly selected people who participate in the live AMA. - Event will be held until August 9th 0:00 PDT. ※ The Blizzard Balance gift cards given out can only be used on NA Battle.Net accounts. ArHaN had to go to a photo shooting for his APEX profile. However, we'll still leave the comment section open so feel free to ask ArHaN questions! We'll put the questions together and give it to him; once we get his answers, we'll post them! The event will be open until August 9th 0:00 PDT. The AMA with ArHaN is for people from all around the world, and the answers will be given to him in English. We would appreciate that you leave comments in English via Google Translator for those who would like to check them out. 아르한 선수와의 AMA는 전세계의 유저를 대상으로 진행 중이라 영어로 답변을 드릴 예정입니다. 구글 번역기 등을 활용하여 가급적 영어로 질문을 남겨주시면 이를 확인하는 많은 분들에게 큰 도움이 될 것으로 예상됩니다. 그리고 겐지 콤보나 용검은 어떻게 활용하는지요? @Supre Practice playing Genji as much as possible. And as for the skill combo, I advise you to hit your target with Shurikens first, then use Swift Strike to finish off. Always keep track of how much they have health left. 겐지로 용검을 잘 못하겠는데 용검을 잘 안쓰고 플레이해도 지장이 없을까요?? Well, you must be able to use Dragonblade well to play Genji. There is no other way. 아프리카 블루팀에서 둠피는 아무래도 아르한 선수가 플레이하나요? Yes, I will be playing Doomfist! You are labelled one of the best genji's in the world, but how do you prevent yourself from tilting or weakening your mindset within the competitive scene?With that, how do you remain so consistent? @JOEL When it comes to these kind of situations, I try my best to payback- this helps me to stay calm and keep my mindset intact during games. After the games, I just go to sleep and try to forget about bad things. This is how I keep myself from tilting or weakening my mindset. 큰대회를 앞둔상황에서 컨디션 조절은 어떻게하나요 식단이라던지 운동이라던지 노하우좀 알려주세요 ㅇㅅㅇ! I refrain from eating anything fattening before the tournament, eat very lightly during the tournament, and then only after the tournament, do I eat meat! And I don't work out at all. how many hours a day you and your team usually train together? if your family was taken away by pirates and you can choose 3 players to rescue them who would you choose? I train about 4~6 hours a day with my teammates. And as for your last question, the first person I'd choose is myself, then Recry, and lastly, IDK, to shield me from all kinds of danger. Hi arhan! i cannot speak english well :( but i like your play style! My question is - what is your most mind-blowing match in last APEX! thx! X-6 match from the Quarterfinals. Who is your favorite hero besides Kenji?? @Eros McCree and Reaper are my fav heroes besides Genji. 소고기 부위중 가장좋아하는 부위는 어디고 돼지고기는 어떤부위를 가장 좋아하나요? Beef tenderloin and pork belly. 경기나 연습때 지거나 생각대로 안풀릴때 그런순간에 스트레스를받을때나 그날하루 혹은 몇일씩 에임이나 플레이가 별로인 짧은 슬럼프아닌 슬럼프가올때 어떤식으로 극복하시나요? 어떤식으로 휴식을 한다던지 어떤식으로 연습을한다던지 궁금합니다 ! I left answers to your question above. And I like to eat delicious food and go shopping when I'm resting. How was your casting experience for the World Cup? Are there any things that you found surprising about the job that you didn't know/realise beforehand? My casting experience for the World Cup was bit difficult for me- I realized that I wasn't really good at it back then. At first, I really wanted to try and though I could pull it off, but I don't think I will be casting ever again. 2. 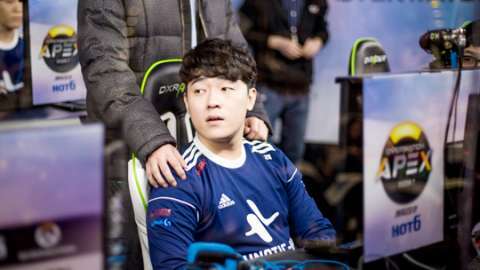 How did you feel when you lose against Lunatic-Hai in APEX, and what do you think the problem was? 1. Everyone has their own play style, but for me, I am the best Genji! 2. I felt angry when we lost to Lunatic-Hai in the APEX. And I think the reason we lost is because we didn't have enough practice. My Genji will play better if he gets to eat beef. @Leg4cy There are two situations you'd need to use Swift Strike- one is when you met Winston in the eyes. The 2nd is when you think you won't be able to kill enemies. You should practice until you can use Swift Strike to wherever you'd like to go. Hello Arhan, what is the most important factor that determines whether a team can consistently beat their opponents over time? The most important thing of all is the desire to win. And you should be able to understand and know what your opponent team's strategies are, their strength, weaknesses, and what they'll be playing, and be able to counter that. I think it's Lucid and Tydolla. And I'm be somewhere in middle. 프로사이에서 살찌면 잘해진다고 살지컬이라고도 하는데 본인은 어떻게 생각하시나요? 살찔수록 잘해지나요? I heard that gaining weight keeps your aims stable, but that's not the same for me- I need to lose weight. Hi Arhan, do you think anybody can be a pro Overwatch player with enough training? Or do you think some people are born with the talent to compete at the highest level? You'll need to be born with the talent, but you'll also make a huge effort to be able to compete at the highest level. I thought that I'd be playing for the team South Korea this year, but I'll try my best to show more of good Genji gameplays. 둠피스트가 현재 메타에 어떤 영향을 줄 것 같나요? I don't think Doomfist will affect the current meta for now, and people will need to play more to know if it will or not. 지금 오버워치가 많이 하락세인데 어떻게 생각하시는지? I don't think that's true, and I think Overwatch will gain more popularity once the Overwatch league starts. What do you think the future of Korean overwatch will be with only one OWL team in Seoul? 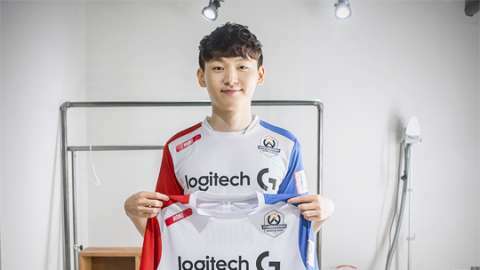 Do you think Apex will continue as a premier league for Korean over? I think APEX will continue to be a premier league in Korea, and every Korean pro gaming teams will do their best to be that one OWL team. 1. 지금까지 아르한 선수는 공식 대회에서 겐지와 트레이서를 주로 보여주셨는데 혹시 이 두 영웅 말고도 대회에서 "주력"으로 사용하기 위해 연습중인 영웅들이 있나요? 2. 최근에 오버워치 월드컵 예선에 해설로 참여하셨는데 어려운 점이 있었다면? 1. D.Va, Hanzo, and Doomfist. 2. I found it hard to think and speak at the same time when I casted. And I had to miss my training to cast so it was something that stayed on my mind. 옵드컵 해설 잘하시더라구요! 처음으로 해설 해보신 느낌과 앞으로 미래에 해설자로써 생각해보실 의향이 있는지 궁금하네요! @DsSoul I don't want to be a caster. 현재 Apex에서 아르한 선수만의 드림팀 2개를 만든다면 각 포지션에 어떤 선수를 뽑으시나요? 그리고 다른 팀에 있는데 자신의 팀으로 영입했으면 좋겠다는 선수도 있을까요??? I will just make one dream team because two teams are too much for me. 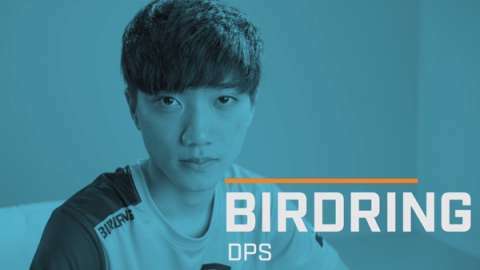 First, me, ryujehong, tobi, zunba, and anyone who are good tanks and DPS from APEX will be fine. @gaesaryo I'm sorry but I don't understand your question. Um... Good brother? Hi Arhan! What impact do you think the Overwatch League will cause to the pro scene in Korea? Is there a possibility the best players will move to LA? Every pro gamers will do their best to join OWL. And everyone one will want to move, even if it's not Korea. The most abundant meat ? Arhana is called invitation hokage, and do you like the nickname? What do you think Doomfist is and how do you operate it? I think Doomfist has moderate performing ability, and you should come up with your own skill combos to be good. Who do you think is the best Genji player? Please let me know the Genji combo. Use Fan of Blades + Swift Strike + and pray that your enemy will die. Then run away with Swift Strike. If you use a sword to practice Genji these days, you will be able to get the opponent to start the fight. You can not catch him. And I'd appreciate it if you could explain how to put the Genjiro deal. You need to practice using Swift Strike in custom games. Keep practicing until you get used to it. And also practice aiming. That's the only way to get better. You played as an athlete in the Overwatch World Cup last year, but you can not compete this year. Which do you think last year was the national representative and the national representative this year? 작년 국가대표와 올해 국가대표 어느쪽이 세다고 생각하시나요? I am sorry that I didn't get to play this year. And personally, I think both teams are great in similar ways. 아르한 선수에게 있어서 고기는 겐지에게 들어가는 아나 Q인가요? Yes. That is true. I play to eat meat. I think pro gamers playing in APEX will be motivated to go to OWL. And I eat tuna when we lose, though I eat beef as well. ArHaN players seem to be very interested in game equipment. For example, use a separate ‘ Palm Rest ’ ...What is the first thing you should consider when choosing equipment such as your keyboard or mouse headset? @dnam I am very interested in gaming gears. I always get ten keyless keyboards, though I don't really mind which headset I get. As for the mouse, I always get light ones. And as for the mouse pads, I use soft pads. How can I grow my skill for Genji? To me, Genji is far harder than Tracer because of not hit-scan. You should predict where your targets will move then use your Shurikens. Hi, ArHaN:) I'm really big fan of you. My native language isn't English. So My English is not good. But I'm glad to participate in this A.M.A. I have many questions to ask you. 1. Before you face on match, What do you think? 2.What is your top priority goal? 3. What is your long-term plan? 4. 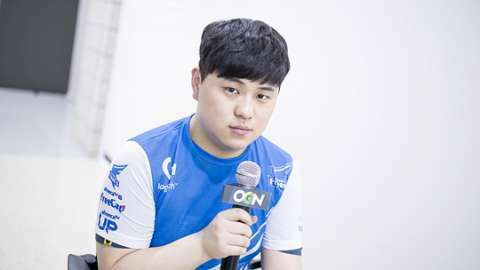 What is the biggest advantage of Afreeca Freecs Blue? 5. What is the most difficult thing about your progamer life? 6. How do you deal with malicious comments? 7. I know you are on a diet. What is the most difficult? Other players ate hamburgers at night. Who makes it harder when you go on a diet? 8. What kind of exercise do you do? 10. Are you happy now? 1. I only think about victories. 2. To be the best Genji. 3. Buy a building and live a luxurious life. 4. We are good at aggressive game plays. 5. Overwatch is difficult because it's a game based on teams. 6. Reading toxic comments helps me keep motivated. 7. Sorry, I gave up. 8. I don't work out. 9. Action figures, money, and honor. 팀게임을 하는데에 있어서 가장 중요하다고 생각되는요소는 무엇인가요? What about your playstyle and AFB's as well sets you apart from other players and other teams in the game. What do you excel at, what do you struggle at? I think I am good at hit-and-run when I'm playing Genji, and I am not good at defending. I think that you're the best genji player in the world,I am happy to ask you a question.When was the happiest experience or worst experience? The happiest experience for me would be when we won at the Overwatch World Cup. And the worst experience I had would be when we went to the final desk in the APEX Season 3. Is there your own way to remain calm when you down alone or tilt? 혼자 죽거나 기복이 있을때 평정심을 유지하는 자신만의 방법이 있나요? Build up my rage. I don't want to keep calm. Hello,Arhan how are you today ?? Why did you wanna become a progamer, and what was your dream when you're a child. In addition, when you win valuable games like Apex and World cup, who do you want to see? 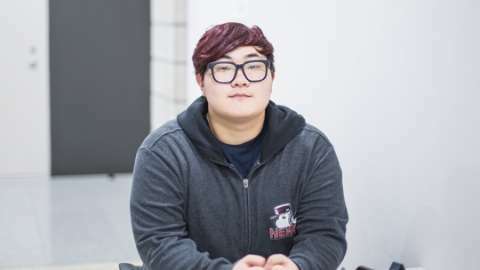 I didn't have any dreams when I was a child, and I thought I wanted to be a pro gamer when I saw Faker. I want to see my parents whenever we win games in APEX or the World Cup. 아르한 넘 귀여워요. 아르한 인형 팔면 살게요. 마우스는 무엇을 쓰시고 그 마우스를 특별히 쓰는 이유나 장점이 있나요? @Riddler G-Pro. Great sensor and light weight. Nowadays, there are more and more talented Genji pro gamers. Who do you think is the most dangerous Genji pro? First, everyone. Everyone's great at playing Genji so I try my best to learn what their strength is when playing Genji.